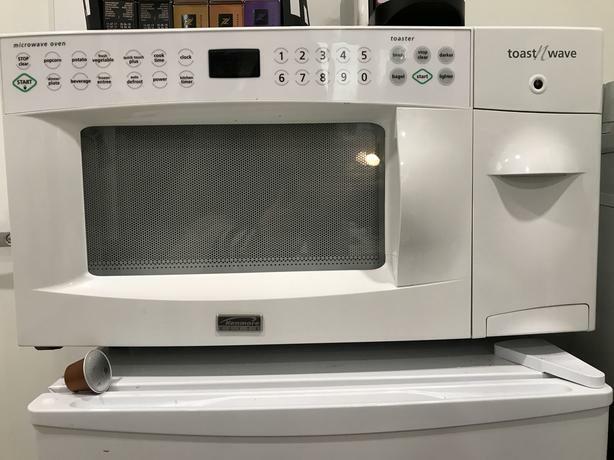  Log In needed $100 · Microwave and Toaster in one! Very cool Microwave and Toaster in one, not used very often and taken well care of. Clean and only a few small marks. Works really well, lots of functions and easy to use. Even has a clean out tray for crumbs! We'd keep it but we're doing a reno don't have the space. 21.5" w X 16" d X 11" h.